So the background fluff for my Ynnari force is strongly rooted in the Harlequins and ‘Cegorach’s Return‘! 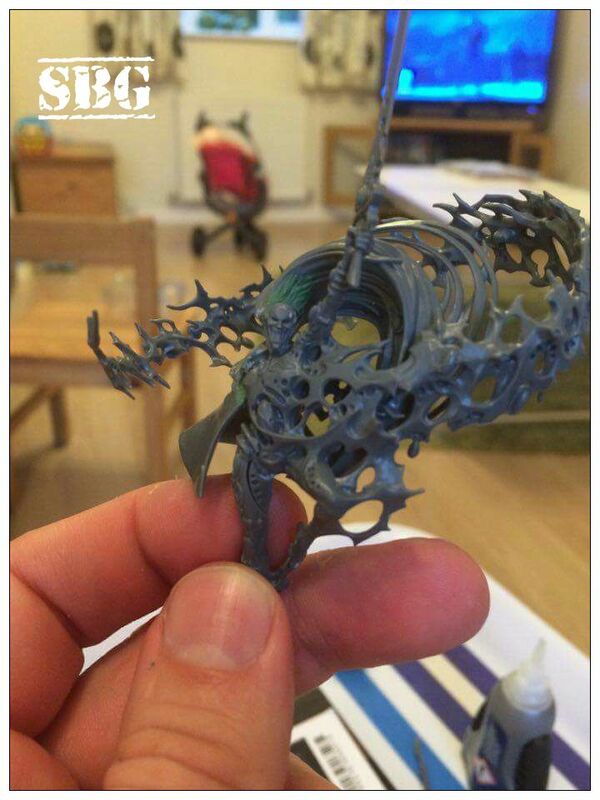 The laughing god has pulled a joke of epic scale and convinced the 40K universe that a ‘New!’ Eldar god has been born… the Yncarne is Cegorach, veiled in glamor! I wanted a centrepiece for the army, an avatar of Cegorach himself leading his gruesome carnival of death! The Yncarne stat line hit all the right notes but didn’t look the part. I wanted to add a mask and some cloth I could ‘diamond’ up in true Harlequin style. 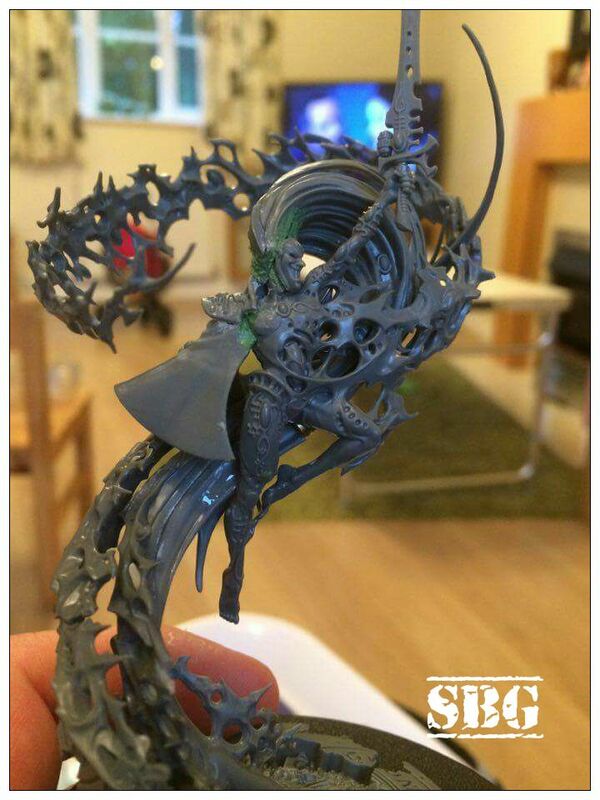 I’ve also ordered a 2nd Yncarne sword that I will be adding to the off hand and some extra ‘masks’ that will be added into the energy swirl. Colour wise I’m going to echo the colour pallet I’ve started my troupe in, blues, purples, chequers and brass. I’m tempted to go full rainbow on the sweeping hair, that bold scheme may echo back into the main force. 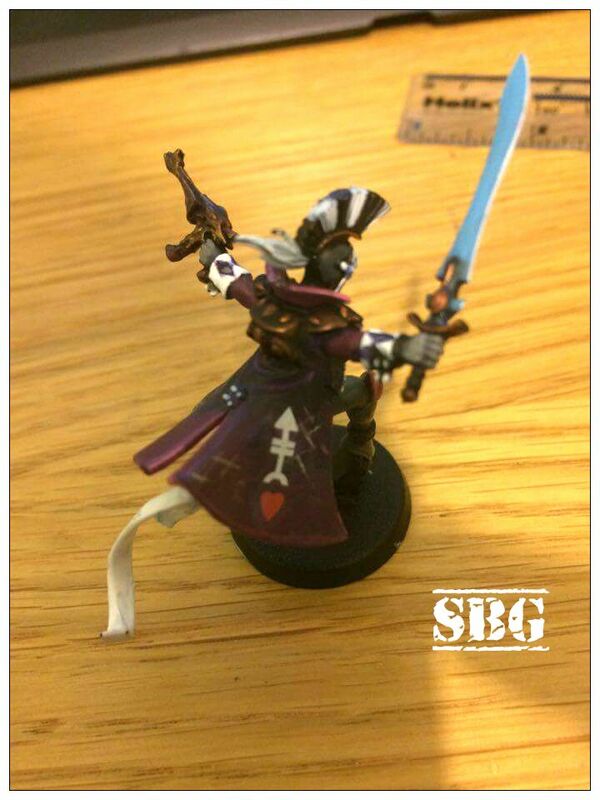 Next conversion I’m planning is ‘Yvraine’ the leading lady in Cegorach’s grand performance!